D232A, D233A and D231A have its top pins connected to GND. you need to cut that connection and solder it to VCC. VGA Connector is not connected to ground, middle row of VGA Connector needs to be connected to GND. holes for securing VGA Connector is grounded. RTC C918 Plus is connected to Minus. so. RTC onboard is not possible on this PCB! do NOT install it. OP led incoming optional signal. right hole is connected to ground. do not use it. PCMCIA reset is totally wrong. do not use! if you will build a board with this contact me. 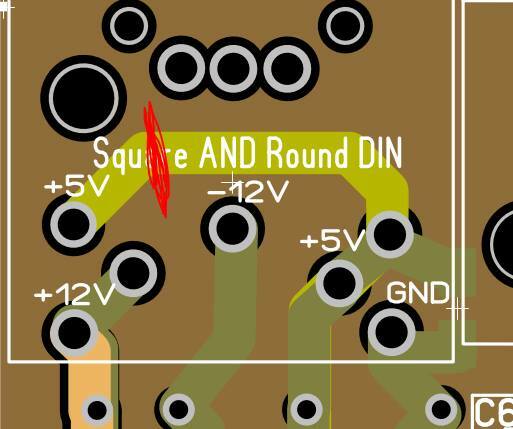 R62 you sholuld have a 0 ohm resistor from middle to right. however right position is connected to ground this is wrong. 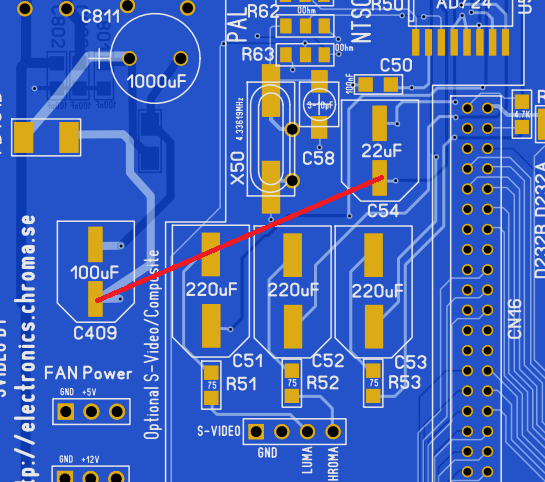 so instead of a resistor, solder a jumperwire to the middle pad and other end to RGB (not VGA port) pin 15. IF you are using a VideoDAC that requires a zenerdiode. do not populate C215 with a 1uF cap. instead put a 1K resistor on the RIGHT pad facing down. on the other end of that resistor. solder a wire from that to a top pin of D233A or D231A to feed that resistor with +5V instead. Resistor R951C at CPU is marked 470ohm. should be 4.7K. seems to work anyway but.. well..